The Star Hotel Akakura is centrally located in the Akakura Onsen village just a few minutes walk from the Akakura Onsen ski resort area and provides air-conditioned rooms with Japan’s unique tatami (woven-straw) flooring. It offers a hot-spring bath, Japanese meals and free parking. The hotel is a modern building and is run by a third generation Myoko family who provide warm hospitality in comfortable environment. The hotel’s reception is located on the 4th floor a long with a lounge bar area with free internet access. 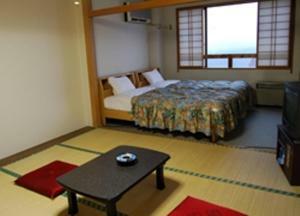 The rooms are large with twin beds and Japanese tatami matting in most rooms. All the western Japanese rooms have ensuites but some Japanese only rooms have a toilet only. The hotel has a nice view down the main street which is very pretty in winter. There are many popular restaurants within 1-2 minutes walk. Star Hotel Akakura has both mens and ladies onsen hot springs as well as a games room with table tennis and some classic computer games. 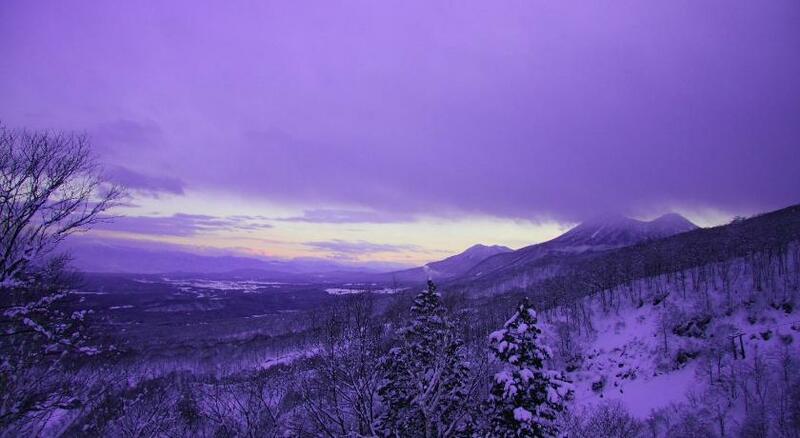 The hotel is 5.5 km from JR Myoko-Kogen Train Station. You can catch a bus to Akakura Onsen from the station or a taxi. Book the Star Hotel Akakura now! Book the Star Hotel in Myoko Akakura now!